1. 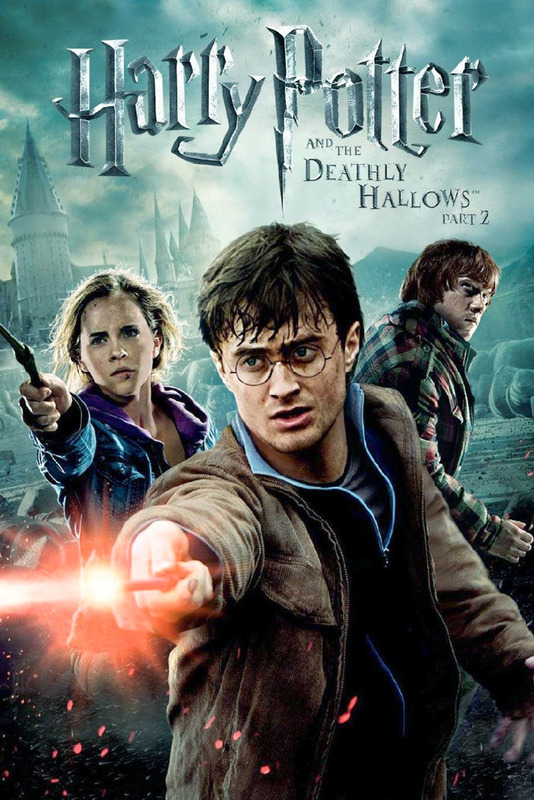 Harry Potter and the Deathly Hallows was originally meant to be one film. But after reading the book, screenwriter Steve Kloves said that he couldn’t make it much shorter than 4–5 hours. So it became two. 2. But both parts were filmed back-to-back, as though it were one long film. 3. 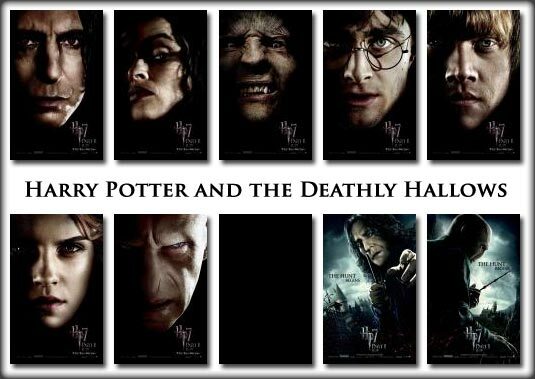 In total they shot for 236 days. 4. The final shot involved Daniel Radcliffe, Rupert Grint, and Emma Watson throwing themselves on to a giant blue mat. 5. 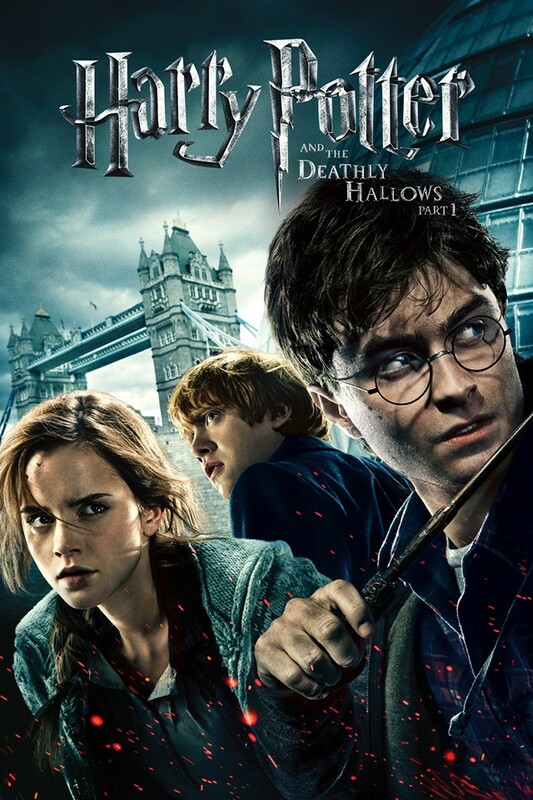 When director David Yates shouted “Cut!”, all three of them burst into tears. 6. And then Yates, producer David Heyman, and Radcliffe gave speeches to the cast and crew. 7. In fact, every main actor’s final day on set was announced and met with a round of applause. 8. 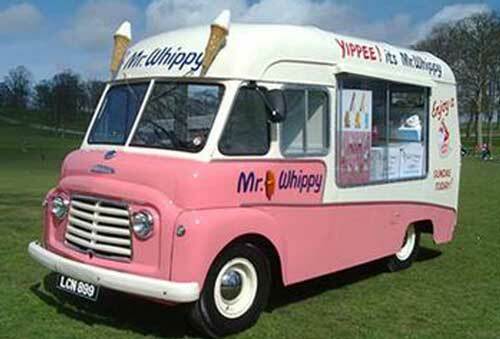 On the last day of filming, Grint brought the ice cream truck he had purchased with his earnings from the films on to the set and served everyone Mr Whippys with Watson. 9. He then gave Watson and Radcliffe trumpets with personal messages engraved on them. 10. Radcliffe bought Grint and Watson prints of stills from the series. 11. And Watson bought them leather diaries. 12. In their final week of filming, the cast were told to empty their dressing rooms. When Grint cleaned his out, he got emotional when he found birthday cards from when he was 14 years old. 13. Watson kept Hermione’s time turner, cloak, and wand as souvenirs. 14. Radcliffe kept Harry’s first and last sets of glasses. 15. Alan Rickman kept Professor Snape’s wand. 16. But on the set of Deathly Hallows, cast members were sometimes randomly searched to make sure they didn’t take any props home. 17. On the last day of shooting, Matthew Lewis, who plays Neville Longbottom, told Rickman how much he had always admired him. Rickman sat down with him and offered him career advice. 18. And the day after filming ended, Radcliffe flew to New York to appear in a play. 19. 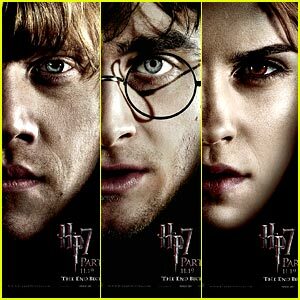 Watson said kissing Radcliffe and Grint after knowing them for so long felt wrong, almost like kissing her brothers. 20. She said Radcliffe was more talkative than Grint in their kissing scene. 21. But they only knew they were going to have to be naked, wearing silver body paint, the day before the kiss was filmed. 22. Grint was kicked off set for the scene. 23. In the first take of her kiss with Grint, Watson said they both went in too quickly because they wanted to get it over and done with. 24. They had to keep reshooting it because they kept laughing when their faces got too close together. 25. After both films came out, Watson admitted that her 12-year-old self would have wanted a kiss with Tom Felton, who plays Draco Malfoy, too. 26. The final scene, which takes place 19 years in the future, was originally shot at King’s Cross. 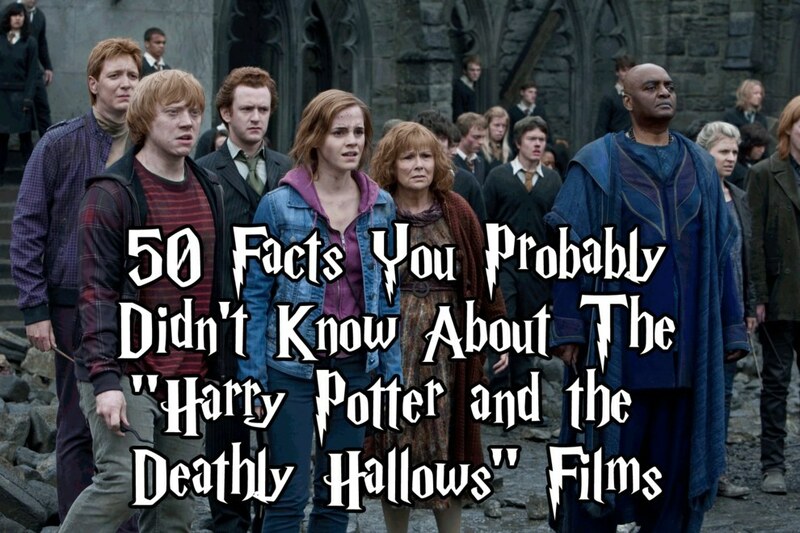 It was later reshot at Leavesden Studios, after pictures of the cast in character leaked. 27. Yates refused to recast the characters for the last scene. 28. Jade Gordon plays Draco Malfoy’s wife in the scene. Felton persuaded her to take part in the final scene. 29. Felton says the worst thing about taking part in the series was having to dye his hair blonde. 30. 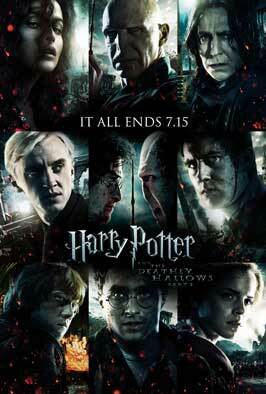 The scene with seven Harrys was so complicated to film that Radcliffe once counted 90 takes for a single shot. 31. It was filmed over two days with numerous body doubles. 32. Radcliffe said that he had the most fun playing Ron, because Rupert struts when he walks. 33. He also said that he felt he looked fantastic in Fleur’s outfit. 34. Domhnall Gleeson, who plays Bill Weasley, is the son of Brendan Gleeson, who plays Mad Eye Moody. 35. Over the course of the last 10 years, Radcliffe went though about 80 wands. 36. Watson said destroying the Great Hall at the end of filming was “very satisfying”. 37. When Deathly Hallows was filmed, Jamie Waylett, who played Crabbe, was in prison for taking part in the 2011 London riots. As a result, Goyle was killed in the battle of Hogwarts instead of Crabbe. 38. Neville Longbottom’s battle with Lord Voldemort was Matthew Lewis’s first scene with Ralph Fiennes. 39. Fiennes’s closing speech was improvised, and he changed it for every rehearsal so no one ever knew who he was going to pick on next. 40. Grint and Watson both had casts of their bums made that were attached to the broomsticks they had to sit on to make them more comfortable. 41. The horcruxes were designed by Miraphora Mina, a props concept artist who took inspiration from her mother’s work as a jeweller. 42. Over 150 people, of 15 different nationalities, worked on the makeup for these films. 43. The prosthetic masks for the goblins working at Gringotts took eight months to make. Each of their hairs was stitched on individually. 44. Michael Gambon, who played Professor Dumbledore, said he felt like crying when he saw Harry as a ghost on the station platform. 45. The Malfoys’ Jacobean home was inspired by Hardwick Hall in Derbyshire. 46. Evanna Lynch, who played Luna Lovegood, made up her own dance for the wedding scene at the start of Part 1. 47. Outside of Harry Potter, Daniel Radcliffe has appeared onstage with Richard Griffiths, who played Vernon Dursley. And Harry Melling, who played Dudley Dursley, has appeared on stage with Fiona Shaw, who played Petunia Dursley. 48. J.K. Rowling told Alan Rickman that Professor Snape had been in love with Lily Potter pretty early on so that he knew how to play his character. But because Rickman knew, he told everyone else on set that it absolutely wasn’t the case.